The Energy Efficiency and Conservation Authority (EECA) a New Zealand organization that promotes energy efficiency, energy conservation and the use of energy from renewable sources, loves ozone laundry technology…and so do we. Tendercare Laundry, located in Rotorua NZ, dramatically reduced their energy usage, improved efficiency, reduced chemicals, and lowered their operating costs using the power of ozone for cleaning and disinfection. At ClearWater Tech, we like to think of it as ozone in a box. 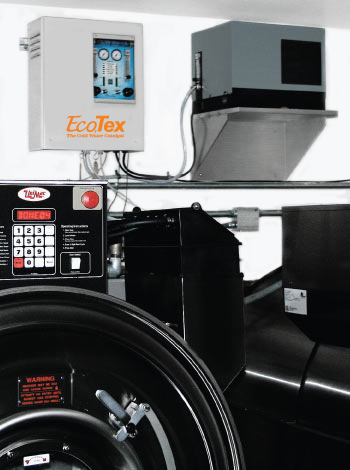 Our laundry oxidation systems combine ozone and oxygen needed to control bacteria and soil. The cold-water technology brings the BEST out of your commercial laundry machines with less detergent used, fresher smelling linens, and quicker returns.